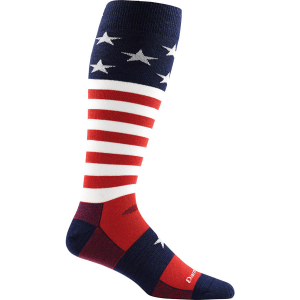 Ultra-light, thin ski sock allows more contact with your boots. Merino wool keeps you warm. Guaranteed for life. 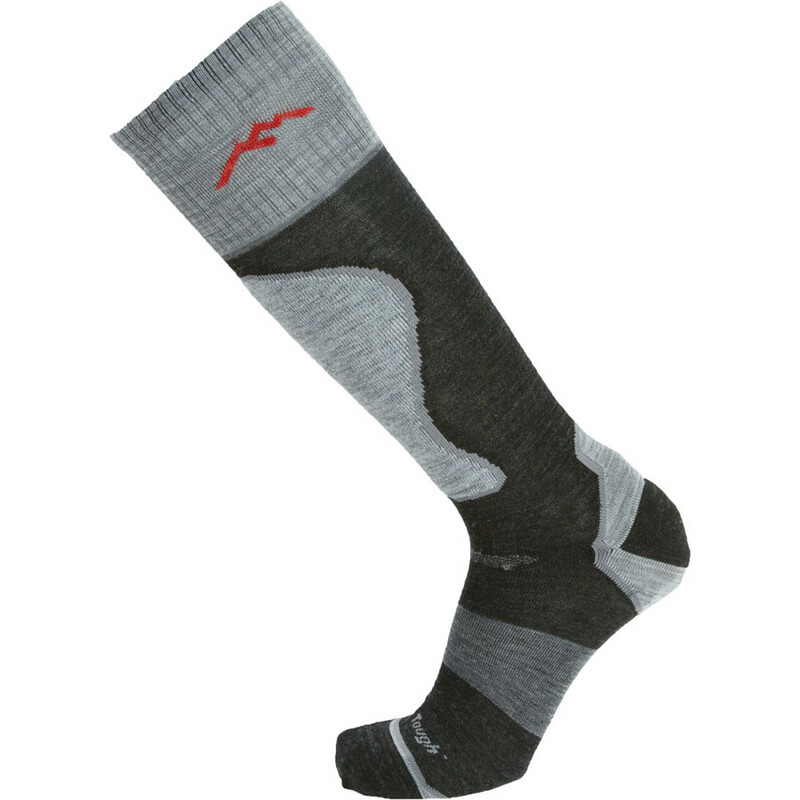 There is a reason why Darn Tough socks are the number one sock for long distance hikers. You can start with their lifetime guarantee. As crazy as it sounds they will replace your socks no matter what the reason. Dog, ate it, too close to the campfire, they don't care. With a guarantee like that, you would expect the socks to be great and they are. These super thin over-the-calf socks in a medium size fit my size 9 feet perfectly. Being seamless they are very comfortable, with nothing to cause any irritation. My ski boots are foam filled so they are very responsive, when paired with these thin socks I feel a greater connection to the ski and consequently the snow. Warmth has been good down to 25 degrees Fahrenheit. When on a trip where I was forced to wear the socks on more than one day that Merino wool anti-microbial action was greatly appreciated by my spouse. I also wore these a lot in the springtime for hiking and two backpack trips. I am a fan of thin socks when hiking and these filled the bill nicely. Paired, one trip with Altra mid height Gortex boots and another trip with Sketchers trail runners they worked well with both types of footwear. With temperatures in the 50-60 degree range, my feet never overheated with either footwear. When they got wet during a stream crossing with the trail runners the wool still kept my feet warm and dried out pretty quickly. 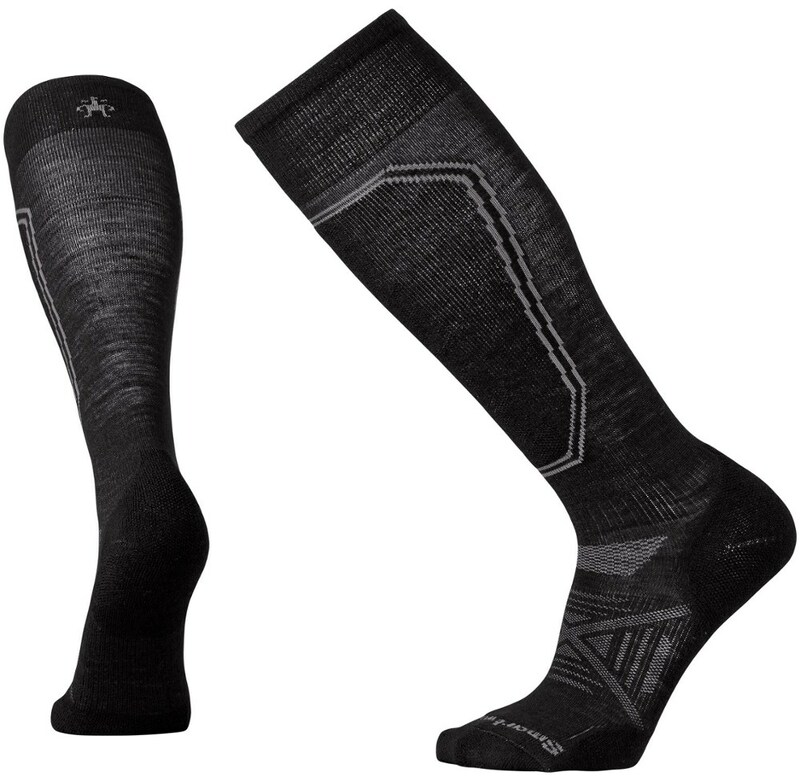 For people who are not a fan of thin socks for snowsports or hiking, Darn Tough makes a sock with a thickness and cushion that will anyone's need. My feeling is you can't go wrong with Darn Tough socks. Thanks for this review. 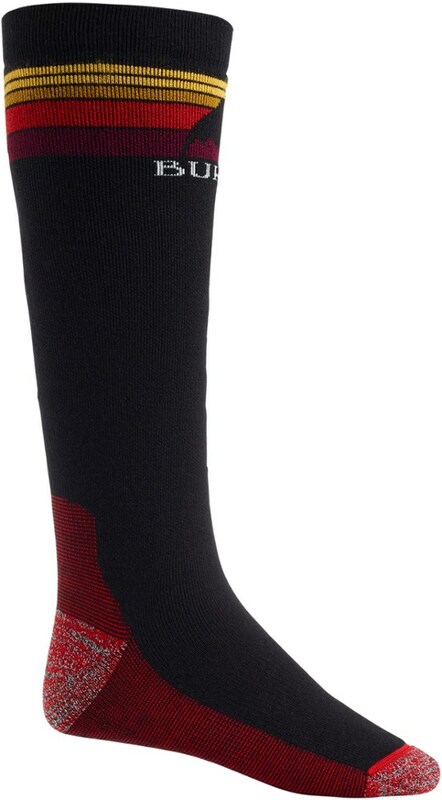 I've been a fan of Darn Tough socks for a bit now, and have been looking at these. Is there a compression effect on the calf muscle? No real compression on these socks. If you want compression socks, look in CEP or Sockwell, they both make really good compression socks. CEP has a long medical use background. I use both of these brands for skiing.CEP also makes compression sleeves which I have used after hiking or backpacking to help force the blood up out of my calves, helps ward off muscle soreness. 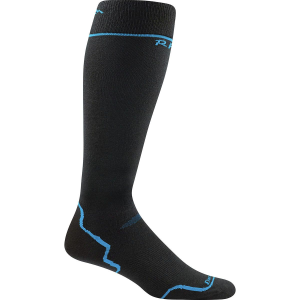 The Darn Tough RFL Over-the-Calf Ultra-Light is not available from the stores we monitor. It was last seen March 27, 2019	at Bentgate.com.